Chicago area percussionist and educator, Douglass Bratt has performed at the Jazz à Vienne, North Sea and Montreux Jazz Festivals as well as noted Chicago venues such as the Jazz Showcase, the Green Mill and Millennium Park. He has musically collaborated with colleagues such as Kyle Asche, Kimberly Gordon, Stuart Mindeman, Sarah Marie Young, Jo Ann Daugherty, Victor Garcia, Rich Moore and Liam Teague. In addition, Bratt performed with Under the Streetlamp, a group featuring the former Chicago cast of Jersey Boys, in their second national PBS television special which debuted in March 2014. In 2006, Bratt joined with saxophonist/composer, Douglas Stone, to create the Stone/Bratt Big Band, a group dedicated to the performance of original big band music. The band released their full-length album, Stone Bratt Big Band, in June 2008. Bratt has taught students ranging in age from four to eighty and has been a clinician/visiting artist at the University of Texas at Arlington, University of Missouri, Truman State University, VanderCook College of Music as well as numerous K-12 programs throughout Illinois. Under his direction the Moraine Valley Percussion Ensemble was selected to perform at the 2017 Illinois Music Education Conference (IMEC). Bratt also served as a presenting clinician at the 2014 Illinois Music Education Conference and a panelist for the 2012 and 2017 Percussive Arts Society International Conventions (PASIC). In 2015 he was inducted into the Illinois Skyway Collegiate Conference Co-Curricular Hall of Fame. Currently, Bratt is a tenured professor of music at Moraine Valley Community College where he serves as coordinator of Academic Music, instructor of applied percussion and directs the college’s jazz ensemble, concert band and percussion ensemble. A strong supporter of the Percussive Arts Society (PAS), Bratt was host of the 2016 Illinois PAS Day of Percussion and also serves as president of the Illinois PAS Chapter following a six year term as chapter secretary/treasurer. Douglass Bratt also is proud to be a Remo Education Artist and Balter Mallets Artist. 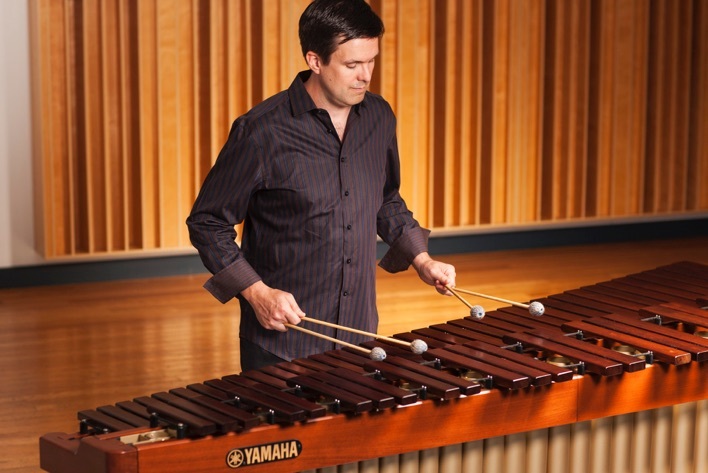 Douglass Bratt received a bachelor’s degree in music and a master’s degree in music with an emphasis in percussion performance and pedagogy from Northern Illinois University, where he toured for three years in the acclaimed NIU Jazz Ensemble. Additional scholarship includes a bachelor’s in history from the University of Wisconsin-Madison and African drumming and dance studies with Ghanaian master-drummer, Frederic Kwasi Dunyo. His principal percussion instructors are Rich Holly, Robert Chappell, Jeff Stitely, Orlando Cotto, Joel Spencer, Jeffrey Moore, and William Elliott, SGM.